At Mayfair we create custom signs and address plaques that make an attractive addition to any home or establishment of any style. Decorative address plaques are a good way to make your address easily visible with a beautifully detailed design that resists fading year after year. All of our house signs and plaques are expertly crafted to achieve the highest possible standard of quality. We offer both cast metal signs and CNC dimensional signs. 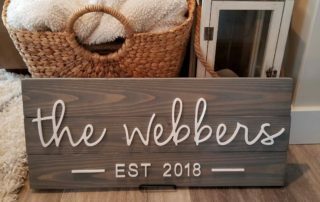 Whether you choose a sign for your home, cottage, business or farm the end result will be a tasteful and functional sign that will look wonderful for years to come. 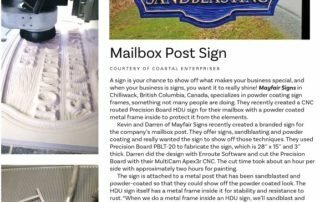 Click on one of the images below to learn more about our Cast Metal Signs, CNC Dimensional Signs or our Sandblasting and Powder Coating Services. Over 450 emblems with more than 40 shapes and sizes to choose from. Any size, shape or font......if you can imagine it, we can create it! Our 3D routed signs are custom made to order from high density urethane using our Multicam Apex 3R CNC machine. Send us your artwork and see what we can create for you! At Mayfair we work tirelessly to design and create custom signage that you will be happy with for years to come. Hello Darren: Today, our sign arrived at its new home and we could not be more delighted. The quality and workmanship that went into our Mayfair sign is second to none. Thank you so much for your guidance in terms of overall design, colour selection and understanding of the manufacturing process. Please convey our appreciation to your staff for the work that went into our sign. Thanks again! Greetings from Ireland. We just wanted to pass on pics of the sign we just put up on our cottage here. The local residents LOVE IT, as do we. Again, a big thank you to you and your team for doing such an amazing job on the graphics and lettering. It is exactly what is true to the area of the country we live in. Most appreciated. I thought I would let you know that my family purchased a sign from your company in 2005, which commemorated our father. 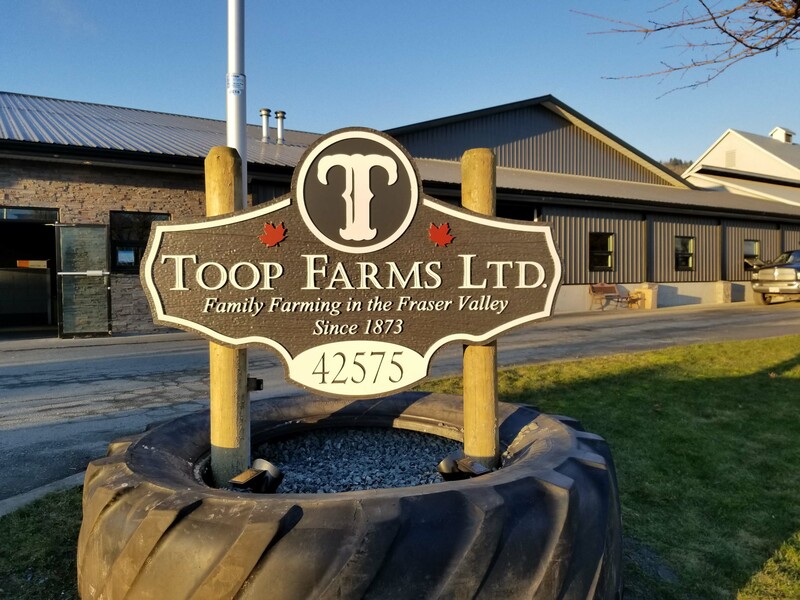 We placed this sign in a remote area of the mountains and were very pleased to see that not only did this sign weather the harsh climate, it looks as good as it did the day it was made! Hi, The sign arrived today and it is awesome – more beautiful that I imagined. Thank you so much and we may order another one for my parents – their birthdays are mid-August. Thanks again. 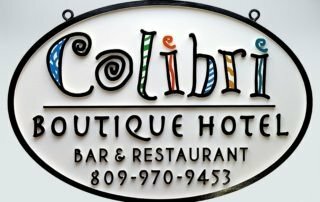 We ordered a custom sign in 2003 and worked with Catherine to design it. We continue to enjoy it 10+ years later! It is really a quality sign that has easily tolerated cold and harsh winters here in the northeast US. Thank you for our sign! Hi Kevin, Our sign arrived today. We are very pleased with it. It looks very professional. Thanks for your company’s hard work. We are saving up for another one for our other property. Will be in touch. Darren, I am writing today to say how thrilled I am with both of the signs you folks made for me. They are FANTASTIC. I have one hung next to the front door and the larger one destined for a granite hitching post near the road (the house sits on former farm land). The shape, colors, lettering, and especially the images of my beloved dog Jack and the horses are FIRST RATE. Many people who knew Jack have commented on his likeness here. My hats off to you and your colleagues. I will certainly recommend Mayfair Signs to lots of people. Again, thank you. Good Morning Kevin, our beautiful sign arrived yesterday. Kudos to you and your artists! We are very pleased and know our son and daughter-in-law will be thrilled with this gift. Thank you for your help along the way. Have a wonderful Holiday. Hello Catherine, my sign arrived yesterday and it is really wonderful. Thanks so much for the fast delivery! Our house now has a unique gem! I wish you a very nice day! Many happy greetings from Switzerland to you! Hi Kevin, I just wanted you to know that my friends received the sign and were thrilled! They took a picture of it and sent it to me – you guys did a great job! Thanks so much for your help on this. I will definitely keep you in mind for future projects. A belated but well-deserved thank you for the great service and wonderful product. We love the sign. Thanks so much! Just a quick note to thank you so much for my amazing house sign! It’s effect on my home has surpassed my expectations. I smile each time I pull into my driveway and see our beautiful sign with the colourful maple leaves. Truly sets our house apart and makes it our own. The perfect finishing touch. It was such a pleasure to meet you both at your home business and pick out my sign while seeing all your samples and settings. My only regret is not having done it years sooner. Good Morning all – Our beautiful sign arrived yesterday and we are thrilled with it! Thank you so much – it is indeed beautiful. We are having the house painted in August and will send you a picture when the sign goes up. Thanks again. Thank you Mayfair Signs! Today I finally mounted your creation at the entrance to my home. I will enjoy this for many years! We received the signs for “Kinnairdy” today the 22nd of Jan. Thank you so much, they look great, just as good as on the website and we have just come back from mounting them onto our road frontage railings and they look fantastic. The workmanship is even better than we anticipated and your service was first class, very well done. Again our sincere thanks! Mayfair Signs is proud to announce our newest line of signage, custom acrylic 3D name signs. These signs make ideal gifts for friends and family members. Premium acrylic on a weather grey pine background. A recent article about our work that was featured in "Sign & Digital Graphics" magazine. To read the full article click here.